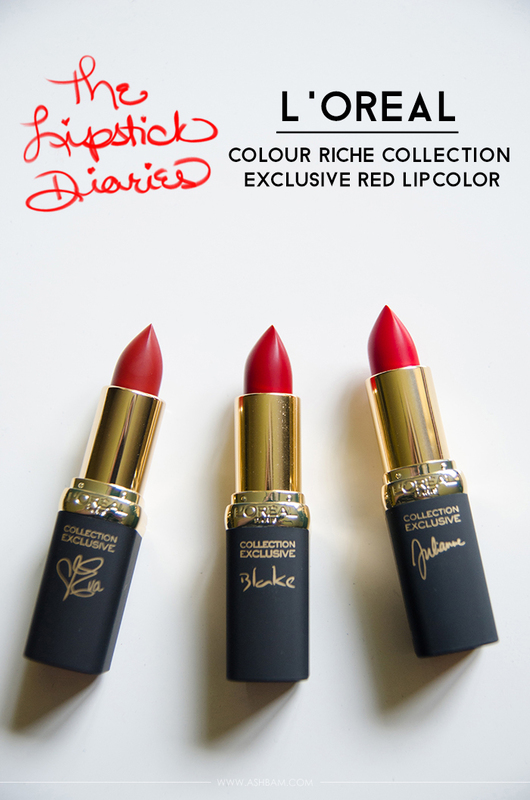 I’d been dying to try the L’Oreal Colour Riche Collection Exclusive Red Lipcolors (and breathe) ever since I heard about their release in the UK. So of course I was super excited when I was checking Ulta’s new release section and finally found them! And they were on sale! 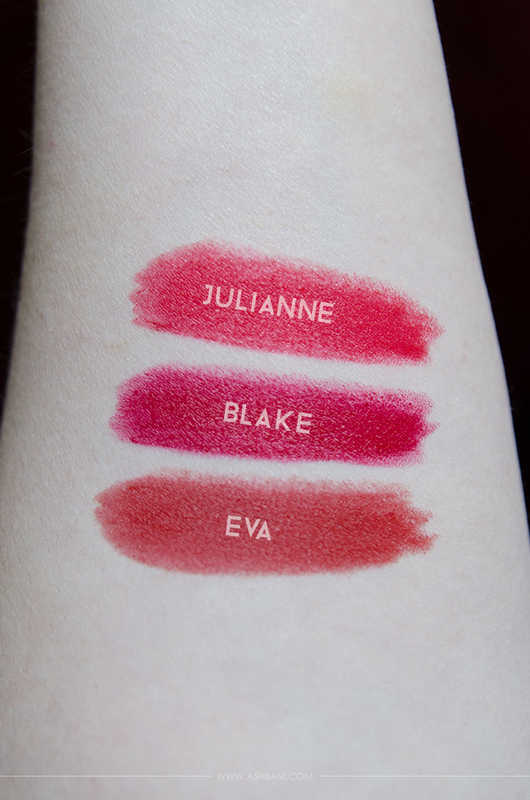 I picked up three to try: Julianne, Blake and Eva’s reds. I’ve since seen them at my local Target so you can pick them up there as well. 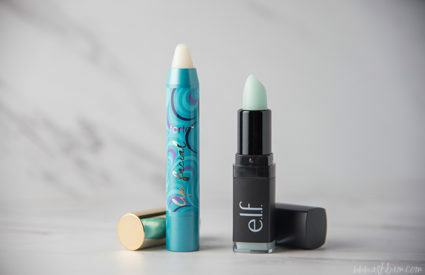 (Ulta: $7.99 & Target: $5.99) There’s six shades available at Ulta and on Target’s website they only seem to have two, but I do remember there was a larger selection in store. 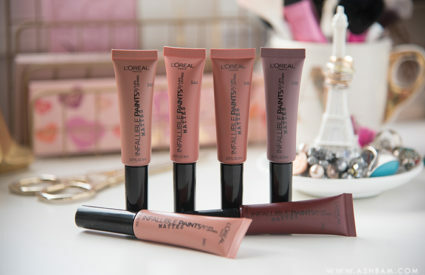 In total I think there’s nine shades, but I’m not sure if they will be released in the States as well. 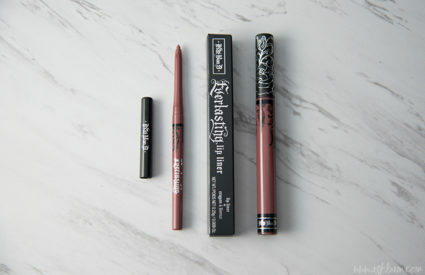 These lipsticks have a creamy matte formula, which don’t feel drying on the lips at all. They’re not extremely long lasting, but they don’t really claim to be. I found the wear time for all three colors to be about the same, there’s slight feathering especially after eating a small meal, but after dinner you’re usually left with only a light stain. It’s unnoticeable until the color has started to fade, but Eva’s red seems to have some shimmer in it. Also there’s definitely a scent to the lipsticks, one a lot of people complain about but I personally love it and I don’t notice it once it’s on the lips. Then there’s the packaging, it’s one of my favorites! I think the matte black with the gold is really beautiful and the red lipstick just makes it perfect! Lastly, they’re rather easy to remove, I just use The Body Shop’s Camomile Waterproof Eye and Lip Makeup Remover and it works great! Julianne’s red is described as a pure berry red that’s designed to suit cool skin tones. It definitely has a hint of pink to it and I love how vibrant it is. 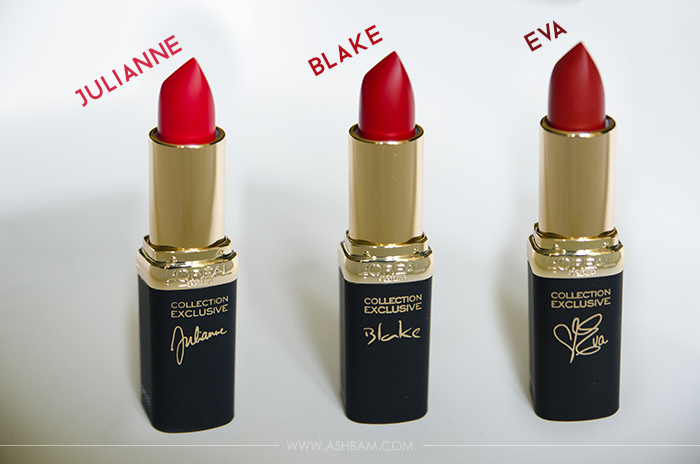 Blake’s red is a pure ruby red designed for warm skin tones. 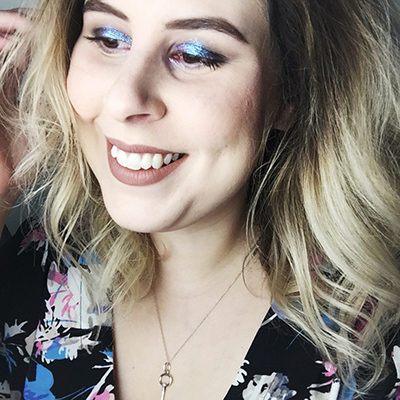 It’s the most cool toned out of the three. Finally is Eva’s red which is a pure brick red also for warm skin tones. I must admit though I didn’t think I’d like Julianne’s red as much it certainly is the most flattering on my fair/cool skin tone. However I’d say if you’re debating on which colors to try, while it’s nice to go for the one that’s closest to your skin tone, don’t be afraid to try others as well. In my opinion, you really can’t go wrong with any type of red lip. So have you had the chance to try these? If not which shade would you try? Ohh these look very pretty! I really like the look of Julianne and Blake red. It’s nice to know that they’re 2 dollars cheaper at Target than at Ulta!